Bar Crusher fishing shirts – available now! 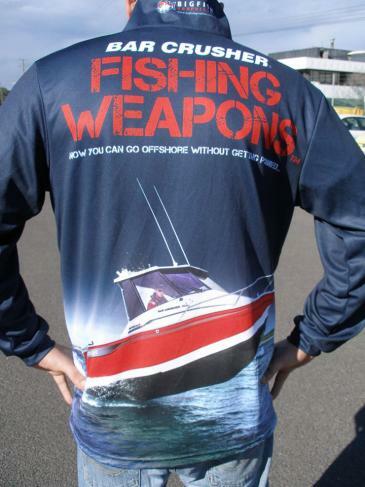 Check-out these great new fishing shirts that have just arrived at Bar Crusher! They’re Australian-made from a woven polyester fabric called ‘cool dry’. This advanced fabric is lightweight, breathable and has been designed to wick moisture away from the skin, to keep you cool even on the hottest days of summer. Importantly, these long-sleeve fishing shirts have a UPF 50+ sun protection rating, offering a high level of protection against both UVA (ageing) and UVB (burning). If you want a great fishing shirt for yourself or as a gift for someone, you can order direct via our online store.